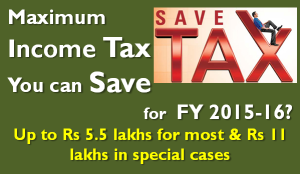 Maximum Income Tax You can Save for FY 2015-16? 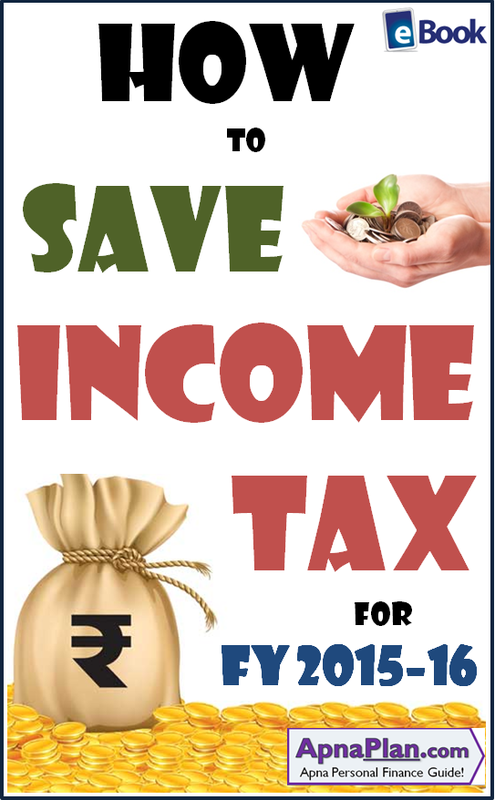 Paying taxes is painful and so we always want to avail all the tax saving options available. And related to this I often get this question – what is the maximum tax I can save? A few days ago we published an eBook on all Tax saving options available in India for FY 2015-16. The table below gives a summary of all the tax saving sections, investment options available along with the maximum tax benefit available for an individual tax payer. 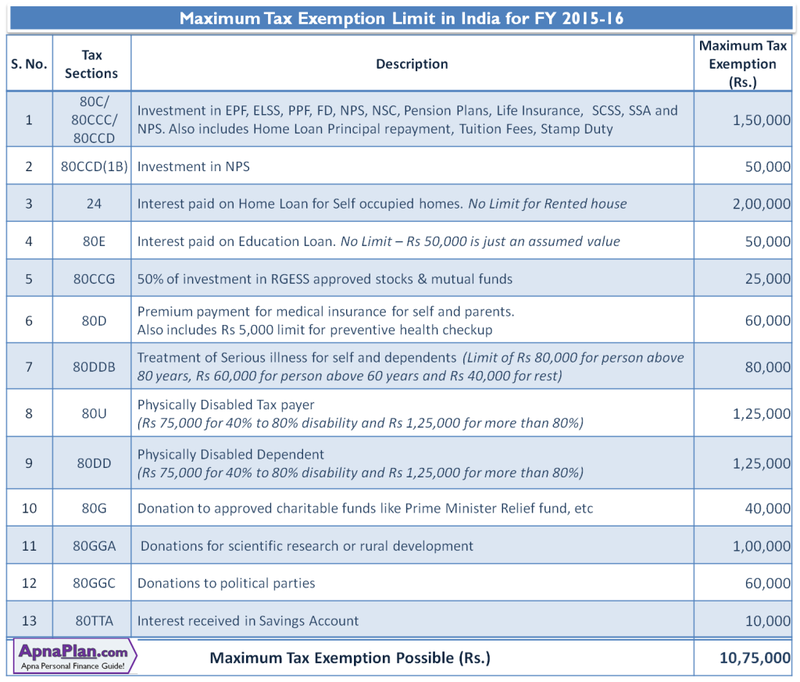 If you are able to avail all these sections you can make close to Rs 10.75 Lakhs income tax free. Rs 2 Lakhs exemption for donation: Now people donate for a cause and their passion/empathy and not to save taxes. It’s just that tax exemption sweetens the deal! Rs 80,000 deduction for treatment of serious illness is something that very few tax payers would take advantage of. So out of Rs 10.5 lakhs, around 5.3 lakhs exemption would be claimed by very few tax payers and in special cases only. Most tax payers even after using all the tax saving sections would be able to claim tax benefit up to Rs 5 to 5.5 Lakhs. Excellent web site. A lot of useful information here. I’m sending it to a few friends ans also sharing in delicious. And obviously, thank you on your effort!